2 Sept-14 Jan. The Martin-Gropius-Bau presents the first comprehensive solo exhibition dedicated to the work of Wenzel Hablik (1881-1934). 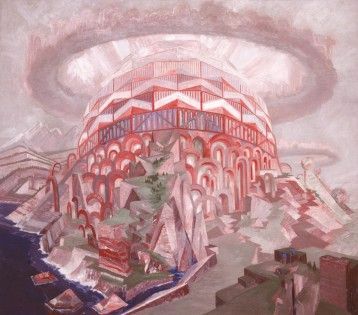 Considered one of the most important representatives of Germany's Expressionist architecture and interior design, Hablik is known for his utopian designs characterisesd by expressionistic interiors and fantastic colours. The focus of the exhibition is on his architectural visions which are complemented by a selection of his paintings and drawings.